Looking for travel inspiration? 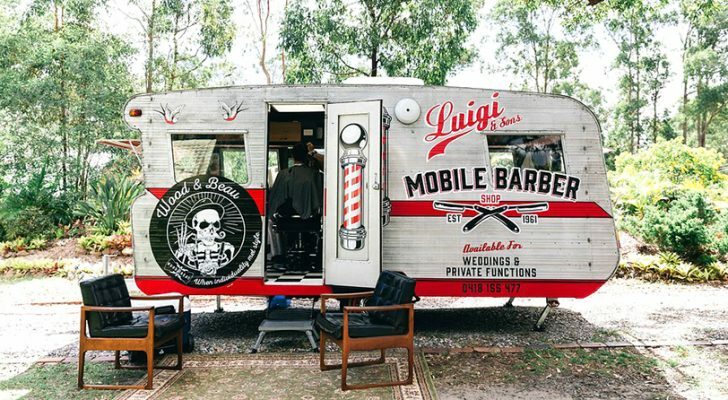 These 16 travel Instagrammers will make you want to hit the road for your next adventure. Travel inspiration comes in all forms. From glossy coffee table books, well crafted adventure stories, and exciting documentaries. Sometimes, though, the best form of travel inspiration is the simple kind. The kind that pops up on your phone and allows you to imagine yourself having that particular experience. 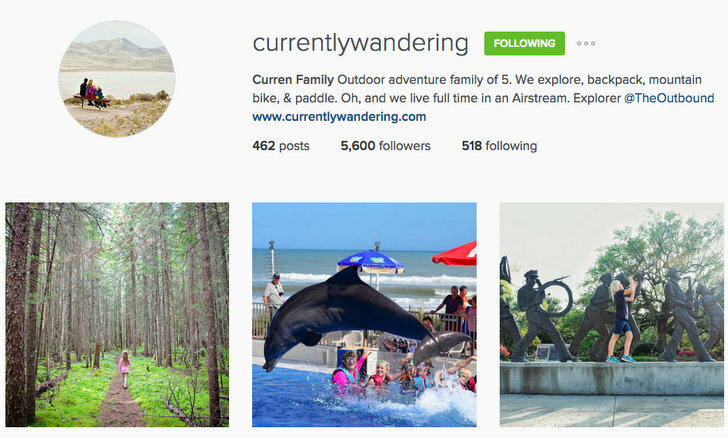 Each of these top travel Instagramers deliver just that. Part text, part image, these accounts provide a little snapshot into their lives—a compact digital postcard, if you will. While there are tons of brand-powered travel Instagram accounts out there like National Geographic, Lonely Planet, US Interior, and REI Outdoors, the most inspiring are real life travelers who take beautiful images of people, landscapes, and animals around the U.S. and beyond. 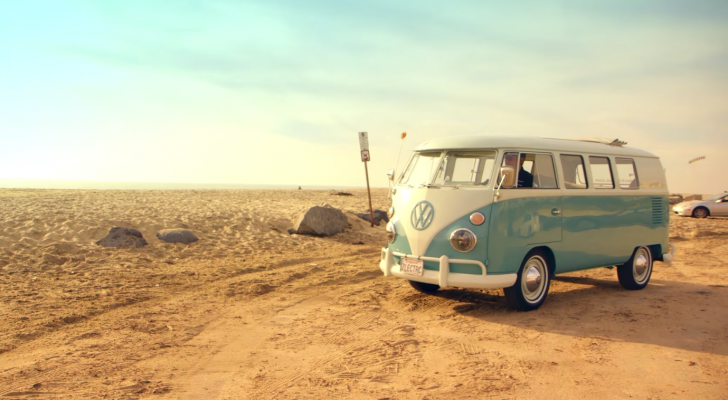 James and Rachel travel around the U.S. in a 1976 Volkswagen Bus named Sunshine. 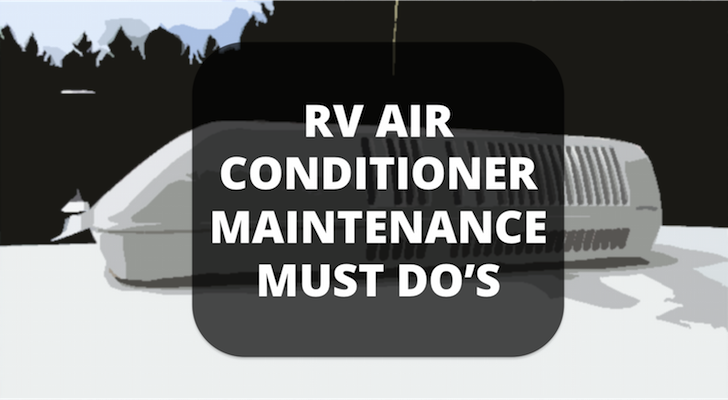 They work hard to prefect the art of being idle while hiking the back country, swimming in lagoons, and taking the occasional seasonal farm jobs. 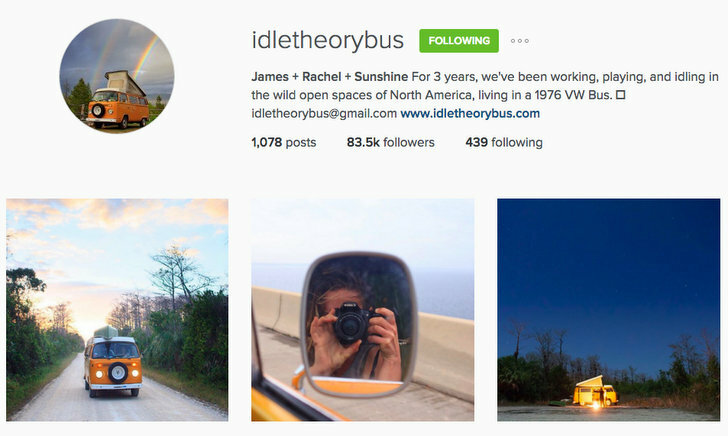 Their feed features colorful shots of the places they travel liberally peppered with their iconic sunshine-yellow bus. 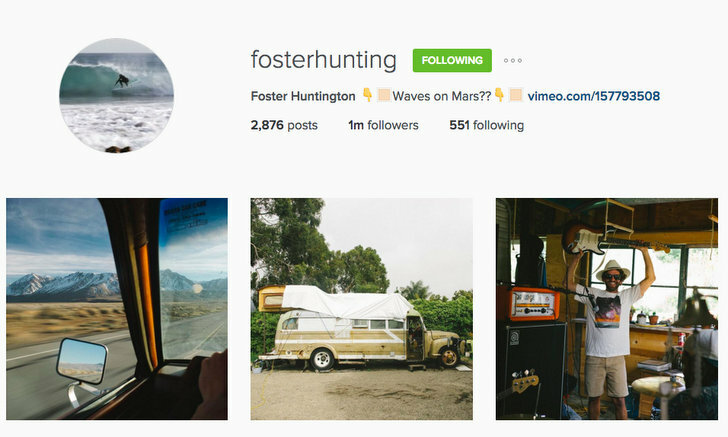 A self described surf bum, Foster gave up his desk job to explore North America while living out of his van. His ultimate goal may be finding places to surf, but along the way he captures some truly inspiring images. 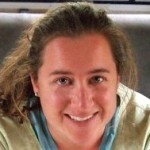 Since 2011 Kerri has traveled the country, first as a solo journer, and more recently as a couple with fellow traveler @van_tramp. They switch between an Airstream named Calypso and van named Big Blue. Her photos feature landscapes, adventures, and the ever popular #calyposcocktails series where she shares scrumptious homemade craft cocktails. 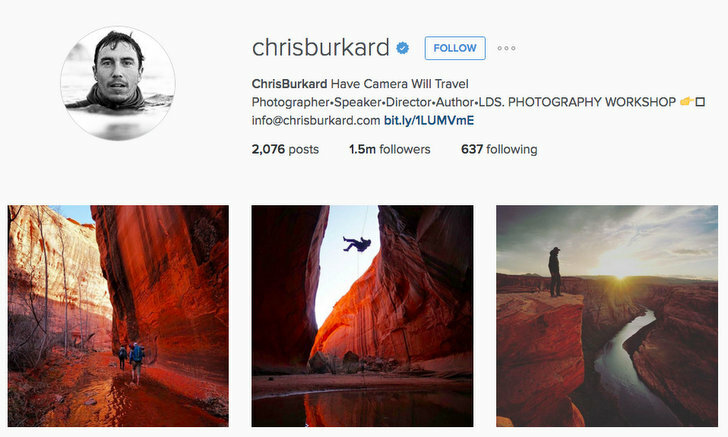 Self-taught professional photographer Chris Burkard is one of the most famous adventure and landscape photographers on Instagram. His breathtaking images explore the beauty of the U.S. and beyond. A family of five traveling, working and exploring the world. 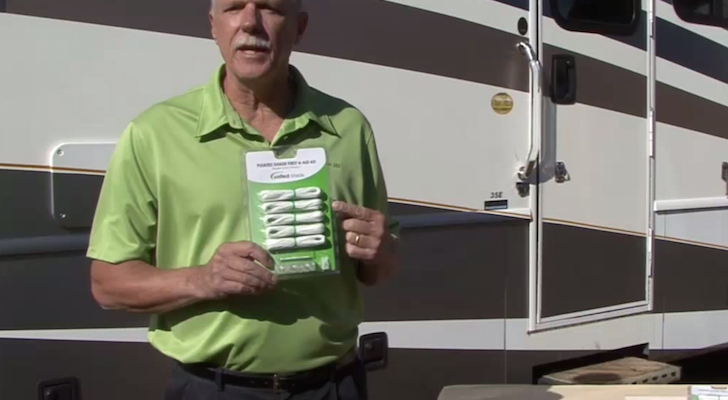 This adventurous family has been living full-time on the road since 2008. 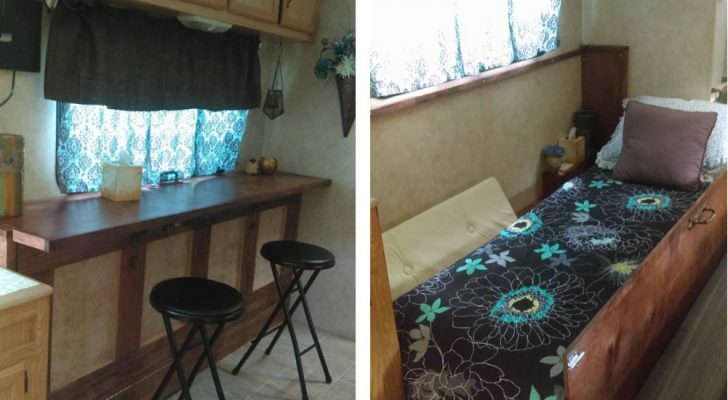 After many years in an Airstream they recently traded in their relatively roomy 200 sq. ft. travel trailer for a go-anywhere, ultra-compact truck camper. 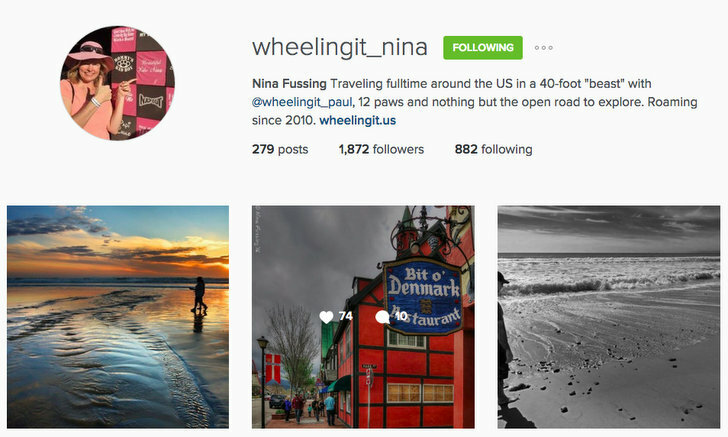 Turn to their feed for inspiring landscape shots intertwined with some some of the cutest kids you ever did see. 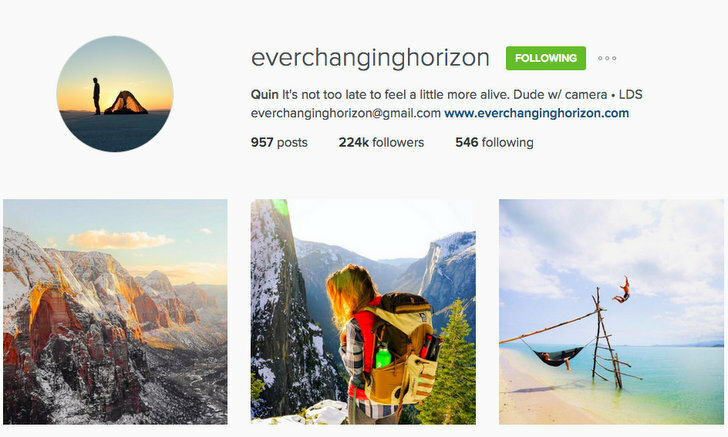 Professional photographer and perpetual adventurer, Quin has a knack for capturing the perfect shot. At first glance his feed features landscape photos, but at heart it’s the people in the photos who make them truly incredible. 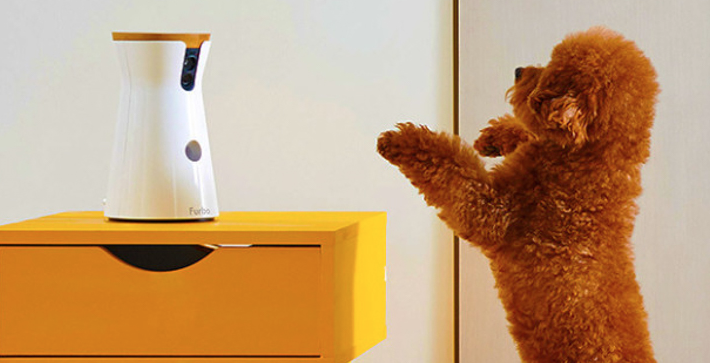 Whether hiking, climbing, or just sitting around the campfire, Quin has what it takes to capture adventure in action. Proof that traveling with kids is never dull. This full-timing family of five takes family time to new heights with their never-ending quest for adventure. From overnight backpack trips to mountain bike races, snorkeling adventures, exploring old forts, and earning Jr. Ranger badges, there is nothing this family won’t try! 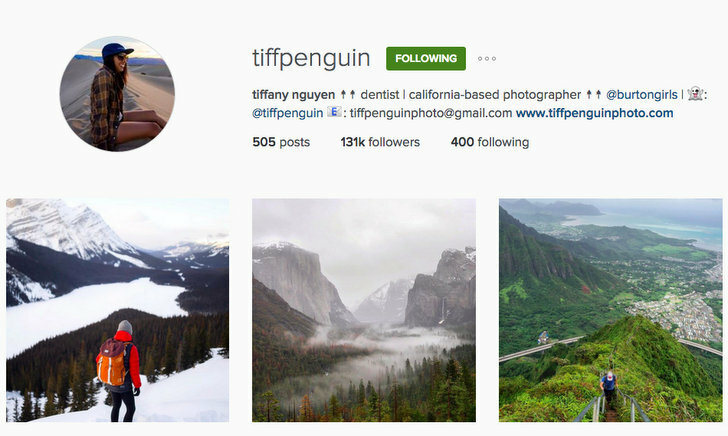 Tiffany works as a dentist but loves to travel with a camera in her spare time. 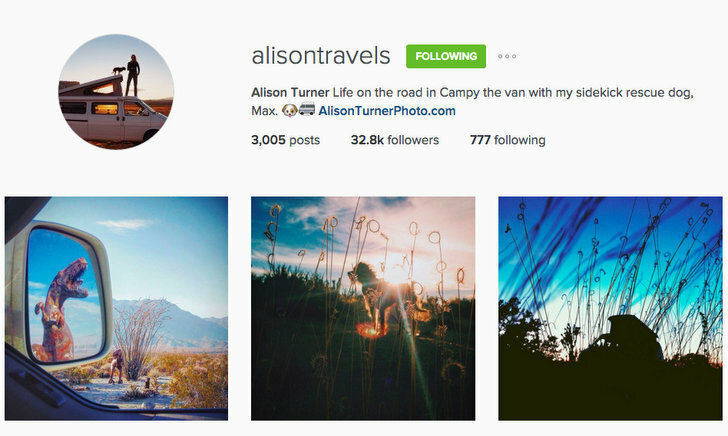 Her photos are full of mountain adventures and colorful skies. Take one Unimog, add a telescoping second story, paint it bright orange and allow intrepid explorers Brad and Oksana to drive it around the country. 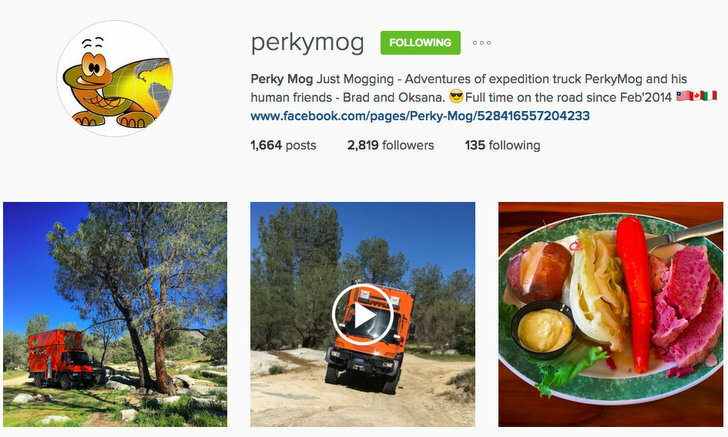 Welcome to the adventures of Perky Mog. This colorful, go-anywhere camper looks good in nearly any setting and is never afraid to show off her “chunky” side. Popular travel blogger and fantastic photographer, Nina shares her adventures while traveling full-time in a 40-foot “beast” of an RV. 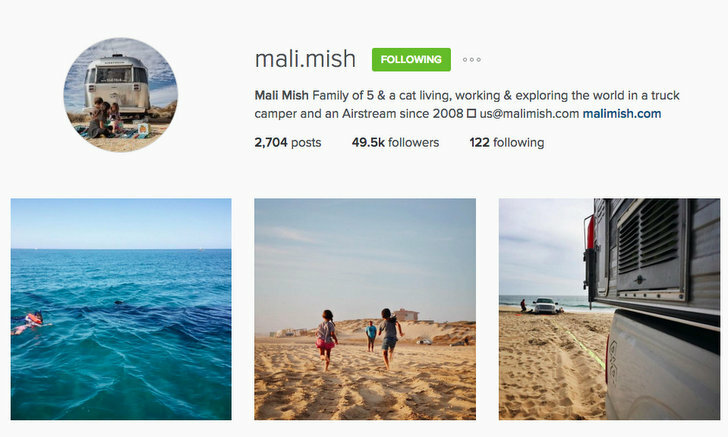 A collaboration page featuring amazing photos of camping and RVing. 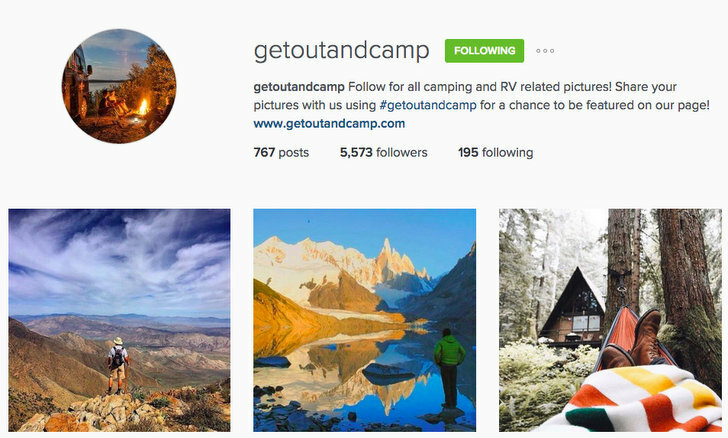 From tent views, hiking trails, cozy nights around the campfire, and wildlife encounters, this account is sure to inspire you to get out and camp! If you like travel tales filled with humor and witty puns against a backdrop of cute kids and fun places, then this Instagram account is a must-follow. 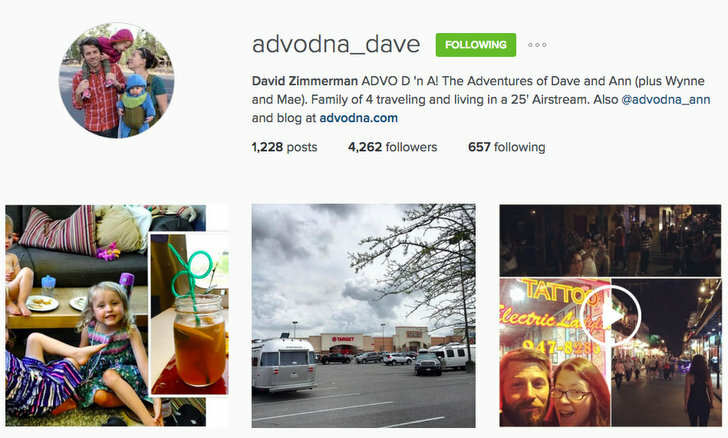 Dave, Ann and two kids travel full-time around the U.S. taking in the sights and sharing their adventures. A solo gal and her furry companion named Max live full-time on the road in Campy the van. 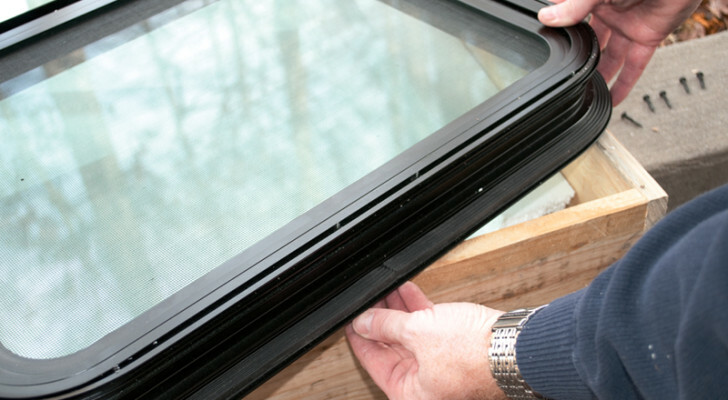 Alison shares photos of their adventures and misadventures including a series of #vanscape photos featuring the ever changing view out the van window. Have you ever wanted to trade in your suburban life for uncommon adventures and close family time? 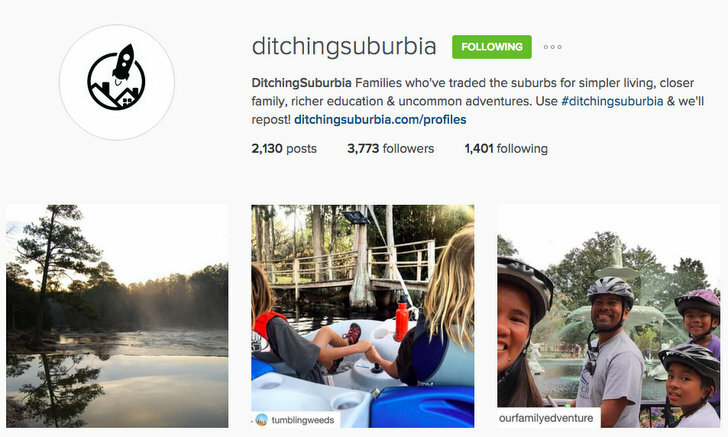 Well then, Ditching Suburbia is the place for you! 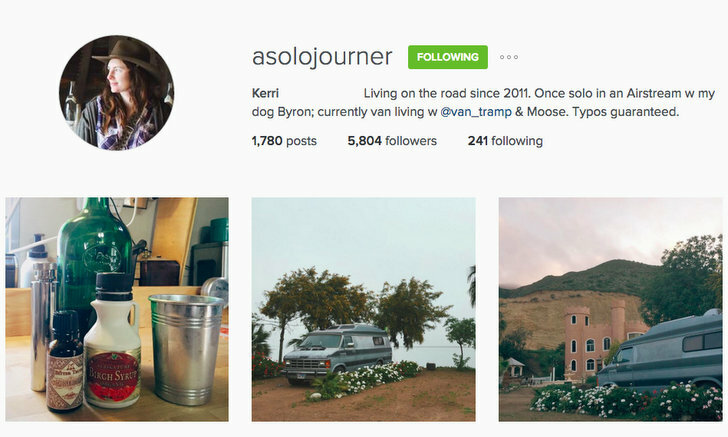 This collaborative account reposts photos of families and couples who have “ditched suburbia” in search of a simpler, more fulfilling life. 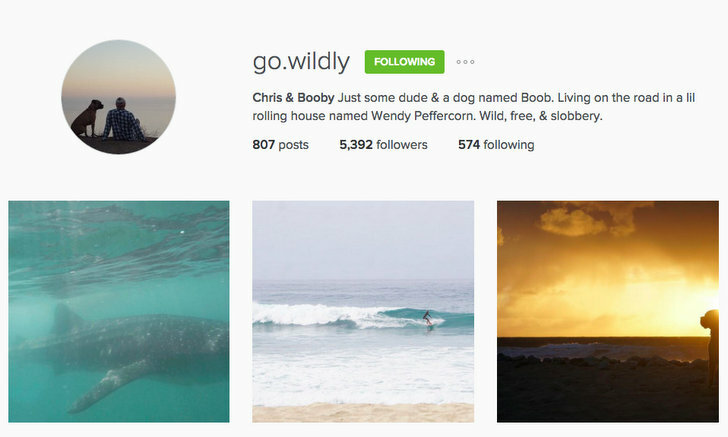 A colorful account showcasing the travels of Chris and his slobbering dog named Booby. Sometimes featuring a retro Shasta trailer named Wendy Peffercorn, sometimes a truck + tent combo, and always spicy language and silly captions. 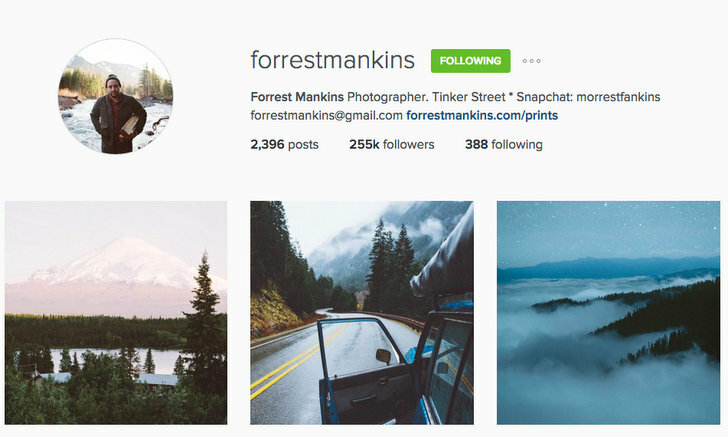 Forrest is a talented Oregon-based travel and outdoor life photographer. He once completed an 8-month trip from Oklahoma to the Arctic Circle in a 1984 Toyota Land Cruiser. 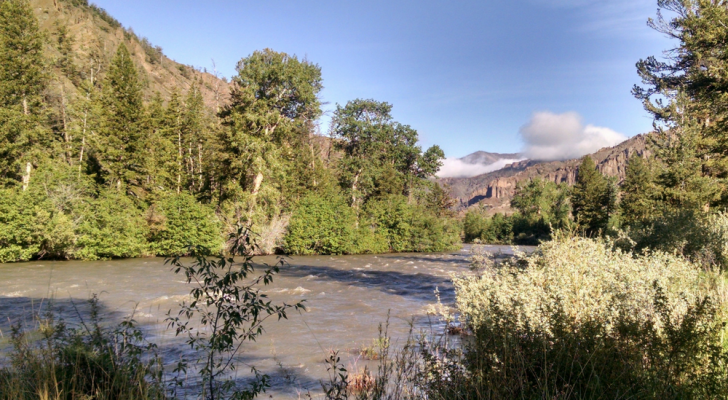 His photos speak of serene beauty, wild places, and a constant yearning for solitude.